1 PLUS 1 PLUS 1 – SYMPATHY FOR THE DECAY is an abstract expressionist film in three episodes about the consequences of moral choices. Using three different documentary formats, it explores the disappearance of man-made materials into nature, pollution-related changes in micro-organisms, and tests performed on human cadavers. Each autonomous episode has its own distinct theme and form, yet together they build up into one conceptual, contextual, cinematic unity. The film takes its name from Godard’s One Plus One – Sympathy for the Devil, a film that brought together the unrelated traditions of political fiction and the music documentary. 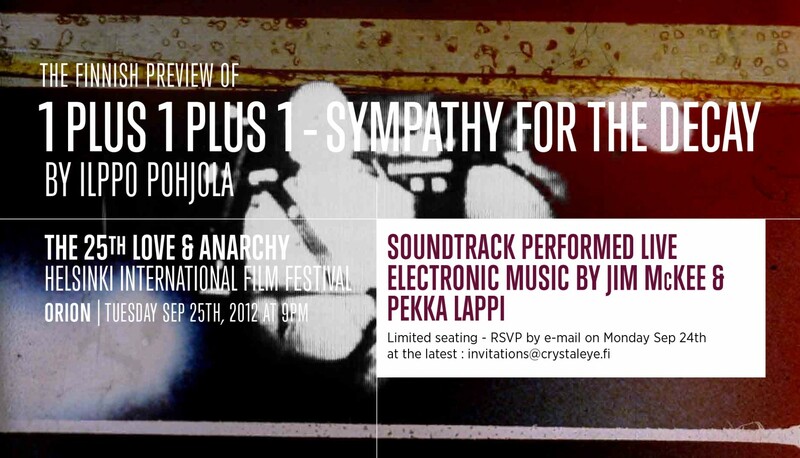 Morals and music also play a central role in 1 Plus 1 Plus 1 – Sympathy for the Decay and therefore the combination of film screening and live music performance supports the film’s core theme. 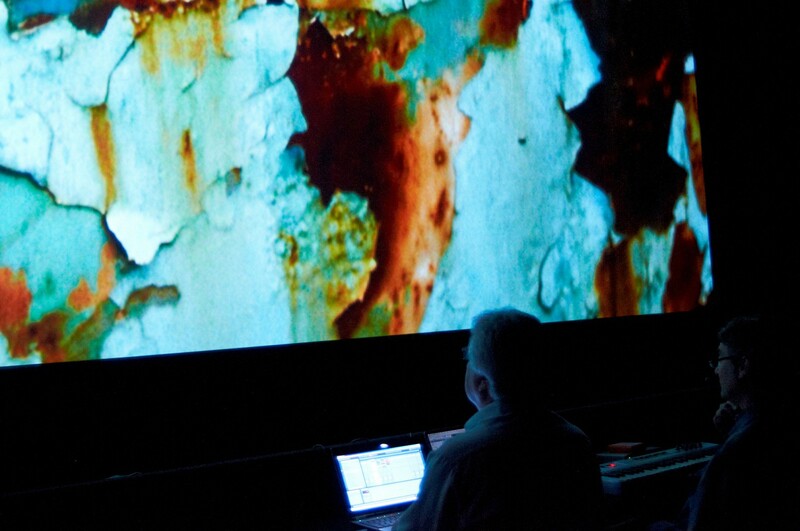 The live music performance is composed by sound designer and musician Jim McKee. It is played by five musicians. Three of them make sounds with electronical instruments and computers. Two play acoustic strings. The live music performance is a mixture of film soundtrack, electronic sounds and acoustic strings. The style of music follows the themes of different episodes of 1 Plus 1 Plus 1 – Sympathy for the Decay. The second episode ++1 – Bacteroid shows rhythms of the symbolic images, the division and separation of the pseudo-organisms, and is combined with electronic music in minimalistic accompaniment. The result is a trance-like mood that communicates powerfully on an emotional level the moral questions associated with the theme. The soundscape of the third episode +++1 – Split Screen Stiff consists of manipulated sounds that are mixed to resemble musique concrète. The sounds are taken from recordings made in the shooting situation, but also include individual words, speech sounds, sighs, breathing etc. taken from the interview. These are all presented under the rhythmic speech that conveys the information. On the soundtrack, this sound material is mixed with contemporary classical music. The key aim of the third, final episode is to orchestrate the black-and-white documentary material and the animated abstract hand-coloured footage into a musical work that functions as a film.